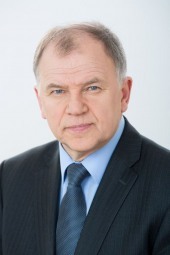 Article for REPs Rare Diseases Day 2019: Two years anniversary of the European Reference Networks for rare and complex diseases By Vytenis Andriukaitis, European Commissioner for Health and Food Safety This is not an article about a disease. This is a story about Onni1, a five-year-old boy from Finland with a rare form of epilepsy. The effects of fake food news could be as bad as the measles outbreaks in recent years caused by people not trusting vaccines, says EU Commissioner for Health and Food Safety Vytenis Andriukaitis. There have been some recent developments to back up his fears. This is not an article about a disease. This story is about Onni*, a five-year-old boy from Finland with a rare form of epilepsy. Onni’s parents first took him to a private doctor who did not have the necessary expertise to treat his illness, and therefore referred him to a paediatrician.